My unwatched pile is so completely out of hand that I thought that I would work on it a bit this weekend. This doesn't necessarily mean I never seen the film before.... just that I never watched it since getting the film on disc. I have so many films unwatched that it is basically impossible to list them all here. Would take me the weekend to list them! But what I can do is list a group of them that I hope to get to this weekend. Even if the 3 not here yet arrives in time... I doubt I will have time to get to all 15 films this weekend. But we will see how many of them (or any other I decide I am in the mood for) I get to. Yeah... would like to get to Harry Potter films if they arrive in time. They shipped... but haven't gotten here yet. The only reason I got All About Steve is because Sandra Bullock is in it. Sandra Bullock (The Proposal) and Bradley Cooper (The Hangover) star in this off-the-wall comedy about a blind date gone hilariously wrong. When eccentric, but lovable, Mary gets set up with Steve, a news channel cameraman, she falls hard. He does not. Mary decides to follow Steve on a cross-country hunt for breaking news and soon finds herself entangled in the story. But despite the media storm surrounding her, Mary may just discover her true place in the world...and the man of her dreams! I wanted to watch this one because I am such a big fan of Sandra Bullock. But going into it I knew to expect an awful movie. I read some of the reviews... I know about Sandra's Razzie Award (And the great way she accepted it!)... so I knew not to go in expecting anything more then mediocre. After watching it for myself I can say I definitely seen better... but it wasn't as bad as I was expecting. It kept my interest enough to watch through-out to the end. And I can even say I enjoyed it... somewhat. But I do tend to expect more from a Sandra Bullock movie. There is also a familiar face in this one... Katy Mixon. I know her as Molly's stoner sister on Mike & Molly. This is not one I see myself watching all that often... but I can see myself watching it at some point again. There is worse ways to waste an hour and a half. 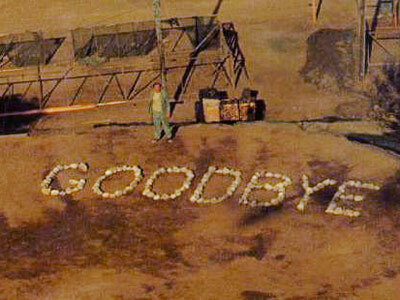 On February 28, nearly 106 million viewers turned in for the series finale of M*A*S*H, making "Goodbye, Farewell and Amen" the most-watched episode in TV History — a record that still stands today. Now you can relive the heartwarming television event that marked the end of one of the longest-running and most beloved shows of all time. Even as the final ceasefire draws near, life at the 4077 is as hectic and crazy as ever. Hawkeye is reluctant to operate after recuperating from a nervous breakdown; B.J. receives erroneous orders to ship out early; Winchester forms a musical bond with a group of POWs; Hot Lips makes plans for her future; and Klinger dusts off his bridal gown for a special announcement! While this is really a series finale... it is also a TV Movie. As it runs for 2 hours on DVD. I would guess with the commercials it ran probably 3 hours when it first aired. 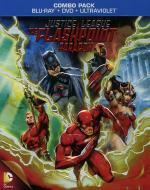 This is, in my opinion, one of the best series finales made. An great end to an excellent series. Watching this finale movie makes me almost want to watch the entire series again. So much fun watching it again. You got to love it when a series is ended in the right way... and what better way then a nice long movie to say goodbye. ...should arrive today so I added these to the list in original post. Years after a student experiment to create a supernatural force goes horribly wrong, young couple Kelly (Ashley Greene) and Ben (Sebastian Stan) begin to experience a terrifying, unexplained presence in their new house. In desperation, they enlist the help of a paranormal specialist (Tom Felton), only to find the apparition may be haunting them, not their home. As the two stuggle to save themselves, the presence feeds on their fear, pushing them toward a fate that will make you wish you didn't believe. This is one I never even heard of before getting the disc. Not sure how I missed it coming out. But then again I don't watch live TV like I used to... ever since getting the DVR years ago I just record all I watch and fast forward through all the commercials. After watching this one I must say I am a little let down. Not really a bad movie... but there really nothing special about it. I found I didn't really care about the characters. Just not enough development I guess. And the storyline itself failed to really pull me in. But I did enjoy some of the haunting scenes. I would say basically an average film. If you check this one out don't expect much. At the same time don't worry about missing this one. He was a monster, impossible to control, too dangerous to ignore. So Earth's mightiest heroes exiled him into outer space. But now THE INCREDIBLE HULK crash-lands on the distant planet SAKAAR, ruled by the tyrannical RED KING. Sold into slavery, the Hulk becomes the planet's mightiest gladiator—but his new masters get more than they bargained for when he forges a bond of brotherhood with his fellow fighters. Unlike Earth, the desperate people of Sakaar believe a monster is just what they need. 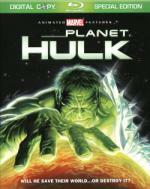 But will the Hulk be the one to save their world...or destroy it? This is one I never seen before... but I enjoyed it quite a bit. Even though going into it In had my doubts... but it pulled me in pretty quickly. There was a couple things that seemed a little odd to me, but nothing that took away from the story. I would recommend checking it out. Jane's mom (Stockard Channing) assumes her daughter is just like every other sixteen-year-old girl - a little confused about growing up. Jane (Ellen Muth) figures her mom is just like every other mom - a little too protective, but loving. They figure they have a good relationship, until Jane falls in love with the new girl at school. Jane knows she is gay but her mom is completely unwilling to accept this fact. Their mother-daughter relationship is broken unless they can find a way to remember how much they love each other. This is a TV Movie that originally aired on Lifetime. This is part of a 3 TV movie set I just got yesterday. And was the one I wanted to see the most in the set. As I like both Stockard Channing and Ellen Muth. This is the first thing I see Ellen Muth in other the her series Dead Like Me. The first thing I noticed is the narration from Ellen Muth. It instantly made me think of her series... as the series is done the same way. I felt that they did a wonderful job with this film. It felt realistic and I must say it broke my heart seeing how much trouble the mother had accepting the idea her daughter is a lesbian. To me a parent should be nothing but accepting and behind their child no matter what... as long as they are healthy and happy. Sure it means they are going to have a tougher time in life. I am not blind... I can see that. But it is a parent's job to help their child through the tough times in their lives...not add to them. Anyway, I enjoyed every moment of this movie. Despite it being pure drama (not a favorite genre). Well worth the time put in to watch it. From a director of Shrek 2 comes your chance to step into the secret world of garden gnomes – Gnomeo & Juliet. Perfect for the whole family, this fresh and funny makeover of one of the world's most timeless stories features music from Sir Elton John, and the voice talents of Emily Blunt, James McAvoy and Sir Michael Caine. Caught up in a feud between neighbors, Gnomeo and Juliet must overcome as many obstacles as their namesakes. But with flamboyant pink flamingos and epic lawnmower races, can this young couple find lasting happiness? Complete with hilarious never-before-seen bonus features, Gnomeo & Juliet is an out-of-the-ordinary animated comedy your entire family will love. We just gnome it! While watching this one there was a few chuckles... but for the most part there is nothing special here. Matter of fact I had a hard time keeping my attention on it. Found my mind wandering to other things while watching. This one does seem to be geared more towards a younger crowd though. Glad that you enjoyed "The Truth about Jane". Welcome to Hotel Transylvania, Dracula's lavish five-stake resort, where monsters and their families can live it up and no humans are allowed. One special weekend, Dracula (Adam Sandler) has invited all his best friends - Frankenstein and his wife, the Mummy, the Invisible Man, the Werewolf family, and more - to celebrate his beloved daughter Mavis's (Selena Gomez) 118th birthday. For Dracula catering to all of these legendary monsters is no problem but the party really starts when one ordinary guy stumbles into the hotel and changes everything! This is one I have seen before... caught it on On-Demand a while back. So going into it I knew it was one I enjoyed. But that is of no surprise as much as I like anything horror/monster related. Even on this second viewing I enjoyed every second of it, Well except for the final song in the movie... could have done without that. But either way... this one is well worth the time put in to watch it. Lots of fun here.